Behind the tweets, posts and snaps is VCU’s official social media team. We’re here to help you navigate the virtual landscape, from maintaining a directory of all VCU-owned social media sites to offering consultation on social strategy to the VCU community. 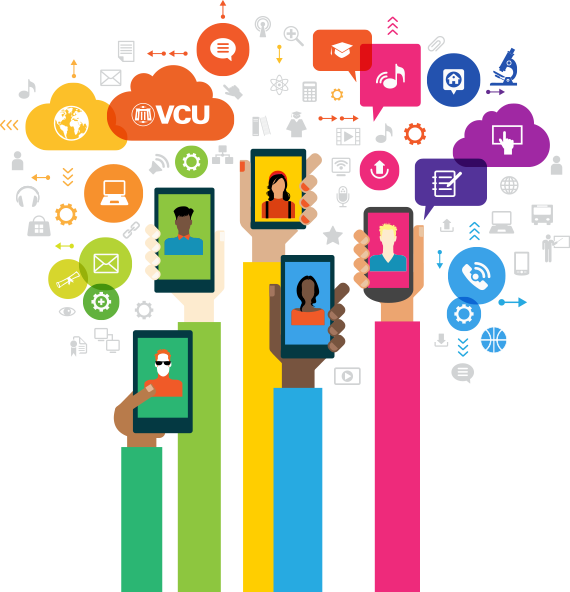 View the VCU social media directory. Submit posts/photos of universitywide interest. Review VCU’s social media guidelines. Contact us for assistance or to schedule a consultation for your unit. Register or update a VCU-owned social media account. Want to share something with the entire VCU community? Fill out the submission form, and we just might highlight it on official VCU social media accounts.